If you have a mobility scooter that is not foldable or collapsible, a scooter lift can assist you in your travel needs. Spinlife carries several scooter lift designs: outside manual scooter lifts, outside powered scooter lifts and inside scooter lifts. We have a scooter lift to meet almost any travel need. Many power wheelchairs are not collapsible or transportable enough to be done without the assistance of a power wheelchair lift. Spinlife has the right selection of outside manual power chair lifts, outside powered power chair lifts and inside power chair lifts to meet your power wheelchair transporting needs. Whether you need a more economic option or something that takes little effort on the user’s part, Spinlife has what you need to stay on the go. 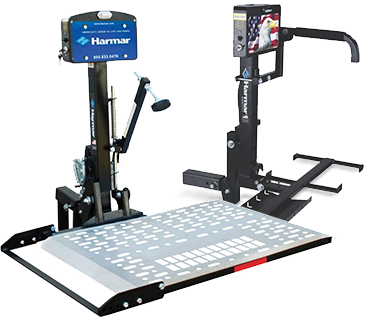 Spinlife offers a wide selection of vehicle lifts for your manual wheelchair. We have more economical models and higher-end, powered models to ensure that your manual wheelchair gets to where you need it. 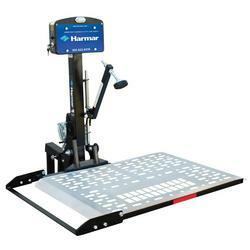 Maintain your mobility on the go with our selection of lifts for manual wheelchairs. Wheelchair lifts and scooter lift help you take your mobility scooter or electric wheelchair into your vehicle. Here at SpinLife, we carry a carefully-selected range of options, from mechanical solutions (such as the E-Z Carrier lift) to fully-assisted power models in which you simply push a button (like the Pride Backpacker). 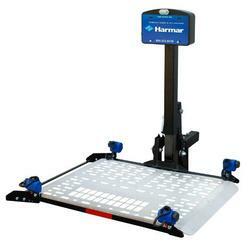 Some models carry your unit attached by way of a hitch on the back of your vehicle (like the Harmar Wheelchair Lift), while other models lift your mobility product into the trunk of your car or in the back of your van. Our SpinLife experts can assist you in finding the best model for your exact lifting needs. Call us to determine which model will work best for your vehicle, your mobility equipment and your physical capabilities. Which lift will work with my vehicle and my scooter or wheelchair? Call our expert staff and tell us your vehicle make, model, and year, and the scooter or power wheelchair you plan to lift. We can tell you if the combination will work. If you place your order online, please note your vehicle and scooter or wheelchair information in the notes section during checkout and we will make sure the combination works before your order is shipped. How do I install my scooter or wheelchair lift? 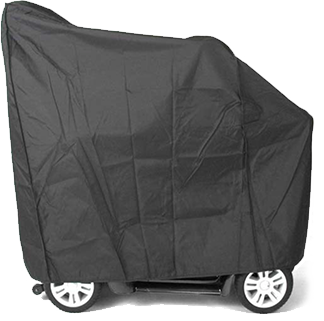 Electrically-powered wheelchair and scooter lifts may require drilling into the trunk or storage space of the vehicle, or wiring the unit directly to the car battery, so SpinLife recommends that a reputable auto mechanic or location install the power car lifts. One exception is the BackPacker lift from Pride. It easily attaches to the third-row seat hardware in many mini-vans, and can be operated using a rechargeable battery, making it a snap to install yourself. 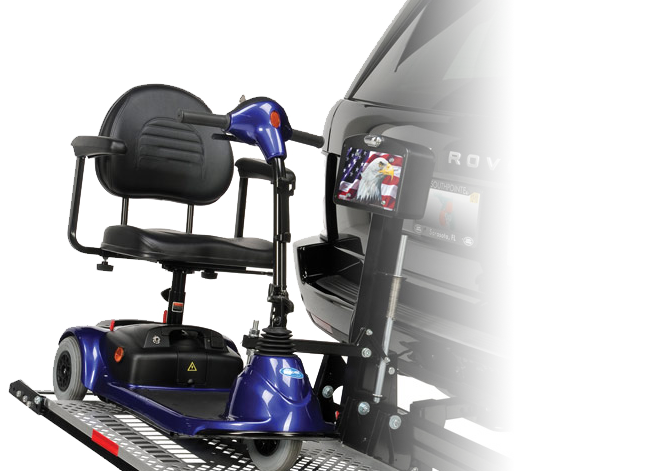 Also, all Wheelchair and Scooter Lifts by Pride Mobility include the option of Expert Nationwide Installation, and SpinLife will coordinate the entire installation process. SpinLife wants you to be completely satisfied with your purchase. If it arrives and it is not what you thought or does not meet your needs, you are free to return it as long as it is in new condition and the original packaging. We require is that you pay freight and a 15% restocking fee to return the purchased item. Please see our Return Policy for complete details.